Mammootty’s big Ramzan release due on September 18, Hariharan’s epic Pazhassi Raja which got censored with an ‘UA’ certificate, has been postponed by two weeks! The new date of release of the film is October 2, Gandhi Jayanthi- Pooja festival weekend. The CG and DI work of the film has to be completed and it is taking time. The film was censored on August 31, so that it will be eligible for Panorama selection. So now Mammootty, the smartest guy in showbiz is preponing the release of his Jayaraj directed Loud Speaker from October 2 to September 18. The film too has been censored on August 31, with a clean ‘U’ certificate. Most of the theatres which had booked Pazhassi Raja has been taken over by Loud Speaker distributors Time Ads, the film carries very good reports. 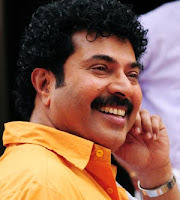 It looks like Mammootty will get a solo release.